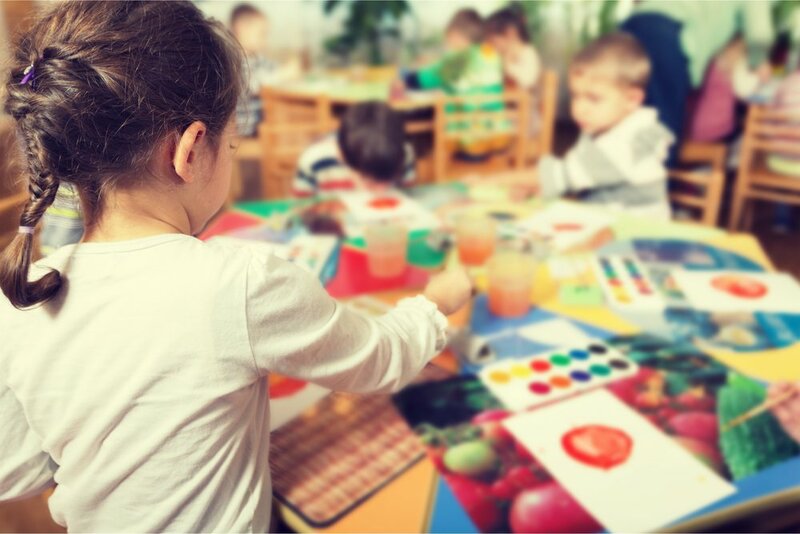 We provide a unique morning preschool program (for children ages 2-5) and a one-of-a-kind, multi-age Kid’s Afternoon Out (for children ages 2-12) creative enrichment programs that combine daily creative, open-ended play, art appreciation, and physical fitness with weekly collaborative S.T.E.A.M. challenges. Creativity is at the heart of everything we do. We believe in using high-quality and thoughtfully designed toys that inspire kids to build, explore, sort, and pretend. We’ve been curating an incredible collection of Grimm’s, Melissa and Doug, and Hape wooden toys, Montessori materials, and educational blocks and puzzles. Our most recent purchase is an incredible Speilgaben set of 3-d shapes and loose parts for infinite pattern play and more. Another way we play is to practice practical skills like preparing snacks, pouring tea, and perfecting manners during our daily tea time with preschoolers. Follow us on Instagram to see pics of our toy library and the things our kids create. Movement is such an integral part of our physical wellness, and research even shows that it affects our brain function and the way we learn. As our classroom is located with the Acros building, we have the incredible opportunity to use their gym daily to run, jump, practice yoga, and just get our hearts pumping while getting our wiggles out. ACROS gymnastics has been in the tri-state area for three decades helping boys and girls reach their gymnastics goals. They have been awarded the readers choice award for the past four years. Recently ACROS gymnastics came under new management and moved to a new location. Through mutual effort and a shared dream, ACROS staff has moved locations and managed to establish a new sports facility that is continuing to expand. Wrapped in whimsical trimmings (headbands, face-paint, and the beat of the tribal drum), the Challenge Island program features an unmistakable spirit and flair. A sense of anticipation fills the air as kids enter new worlds of adventure through imaginative journeys to an array of thematic islands. Through carefully chosen books about heroic girls and boys, kids will have the opportunity to discuss a myriad of topics from determination to diversity, what makes a story engaging and exciting, and how to write and craft stories and characters of their own. We also have a growing library of educational kids books. Inspired by the Museuem of Modern Art’s incredible cd and book, “Pop Goes the Easel,” children will learn about famous works of modern art through song. As well, kids will have ample opportunity to express their artistic selves using a variety of mediums from play-dough to oil pastels. Let’s be nice and do good stuff. Part of our mission as a community academy is to involve kids of all ages in brainstorming ways to help our community, developing plans for projects, and volunteering to see their ideas come to light and make a difference.